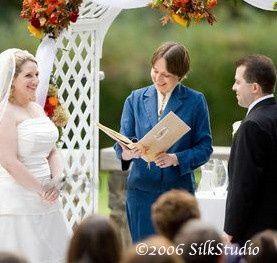 Reverend Emily King is a wedding officiant and Certified Life-Cycle Celebrant in New York City. Her work as a minister has changed the lives of countless couples, as she helped them gain a greater respect and excitement for the commitment they'd soon make to each other. Reverend King will do the same for you; from day one she commits to making your ceremony one of a kind. Reverend King was ordained by the Universal Brotherhood Movement, beginning her journey as a celebrant. She is also the founder of the Sacred Word Healing Circle. This organization travels around New York City to share in interfaith spiritual healing, prayer, and celebration. 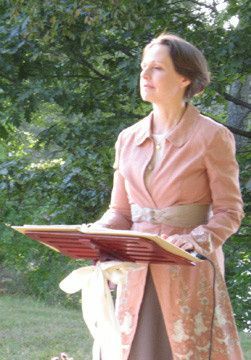 Apart from her spiritual work, Reverend King is a published translator of French, German, and Italian, and has studied Spanish and American Sign Language (ASL). Reverend King performs ceremonies that honor religious, spiritual, and secular beliefs of all kinds. She can also perform ceremonies in French, German, Italian, Spanish and American Sign Language, or a combination of these languages. 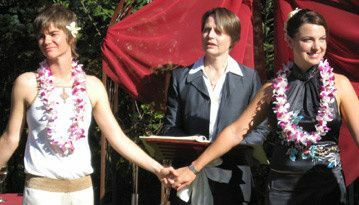 Reverend King writes each ceremony to reflect a couple's individuality and their path towards a new future. You'll determine the final approval of the ceremony before your wedding day to ensure the words and readings are exactly what you want. Beautiful backyard autumn garden wedding, bride not quite blue. Gorgeous bride and groom in a 19th century farmyard gourmet restaurant on the Rockefeller estate. a simple, formal, bilingaul ceremony at the Columbia Club. A stunning view of the Brooklyn Bridge for their hot-chocolate toast! Emily was beyond fantastic. 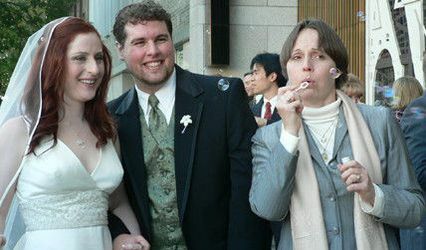 Her ceremony incorporated much of our back story, the right mix of gravity and levity and had everyone in the house laughing and crying. I think we had almost as many compliments on the ceremony as we did the bridal dress. We met with her and went through the entire ceremony from front to back in almost the exact language we used in the wedding. It was a great reassurance to know that the legal and ceremonial part of our wedding was completely taken care of months in advance. 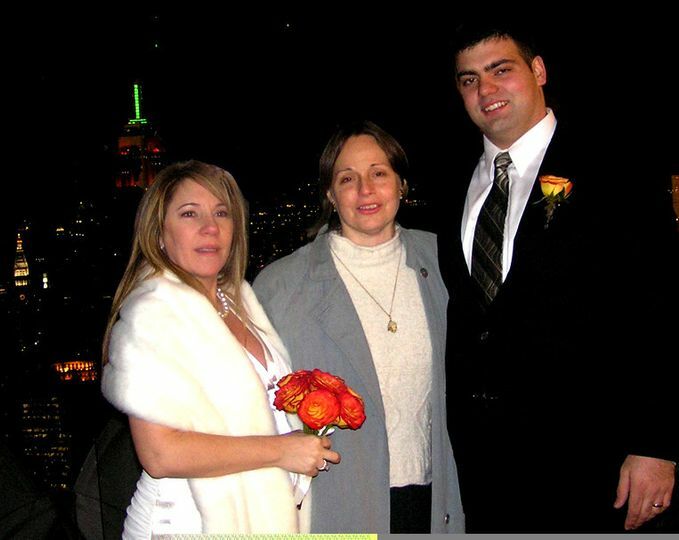 We had our wedding at bear mountain in the hudson valley, NY. We were very pleased with Emily. 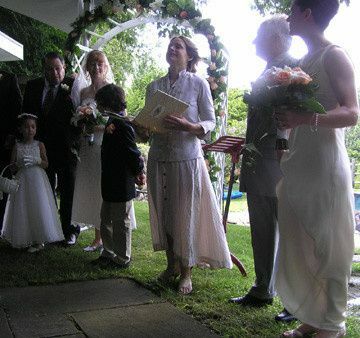 She helped us design a very elegant bilingual ceremony (French and English). 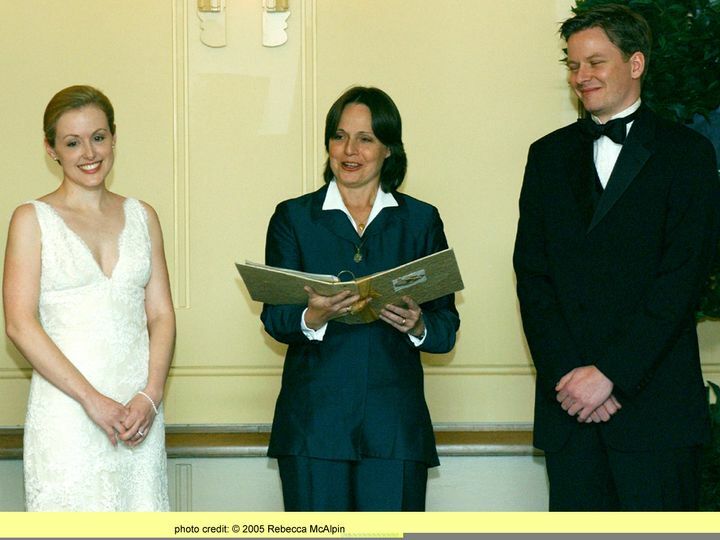 All our guest were really impressed with her ceremony. I would highly recommend her for a wedding(or other ceremonies), especially if you are looking for a bilingual ceremony. Her comments and availibility were a +. Emily did an exceptional job crafting our wedding ceremony. It was everything we could've hoped for and more. The journey to our wedding ceremony was challenging sometimes but she really helped us stay focused on what was important as well as serving as a compassionate, sensitive and patient shepherd to a ceremony we will cherish for the rest of our lives. 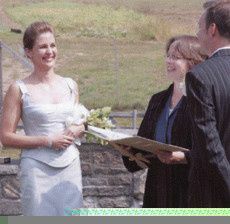 She created a deeply personal ceremony that reflected our values and the spirit in which we wanted to enter our marriage. 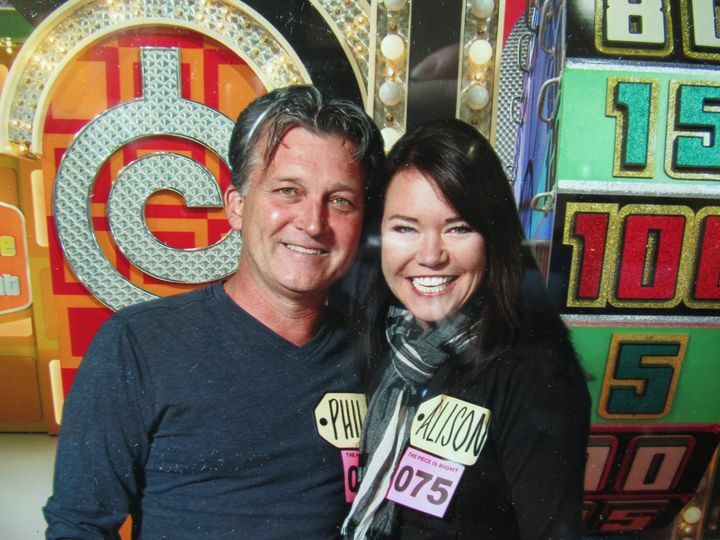 Her work was one of the many blessings bestowed on our marriage. So many people told us how moving the ceremony was and what a great job she did. Even the musicians were crying! We highly recommend Emily. Supporting graduate students, teachers and other loan-paying, overworked, under-compensated educators.